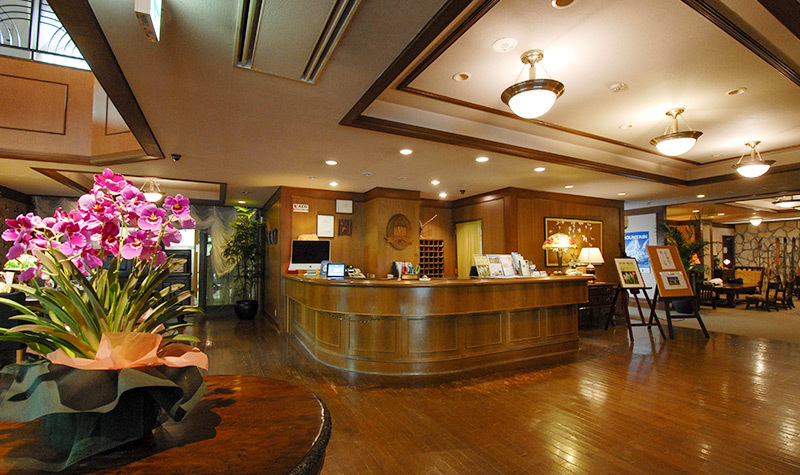 facilitiesA comfortable stay in a mountain resort that will make you lose track of time. 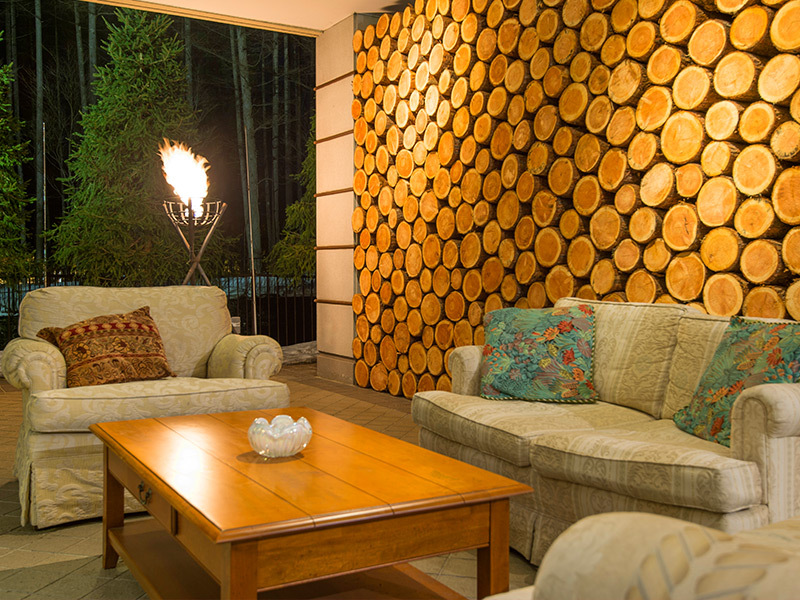 Forget the hustle and bustle of the city and enjoy relaxing in our lounge surrounded by green trees. with a cup of tea in the afternoon or a glass of whisky or wine glittering in the light of evening lamps. 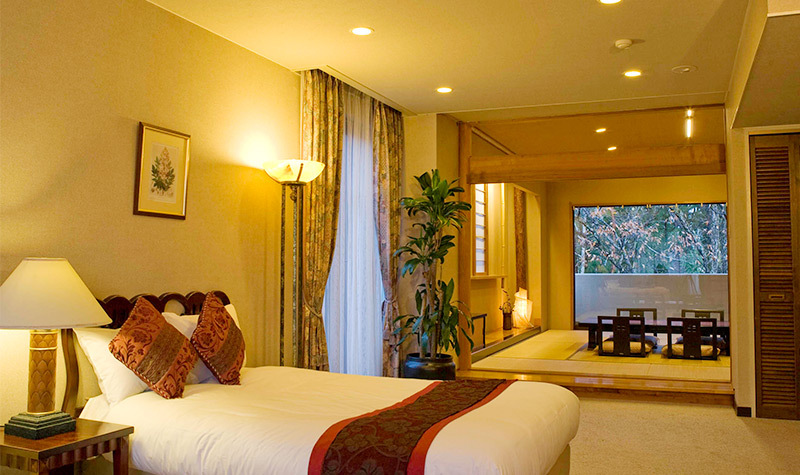 Bask in the views of nature and spend your time in a relaxing and luxurious lunge. 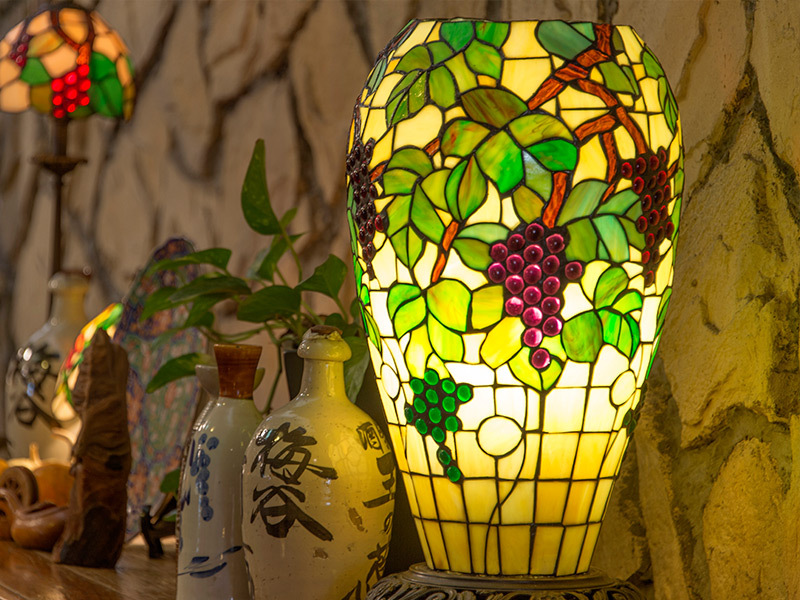 Enjoy a cup of tea, glass of whisky or wine glittering in the light of evening lamps. 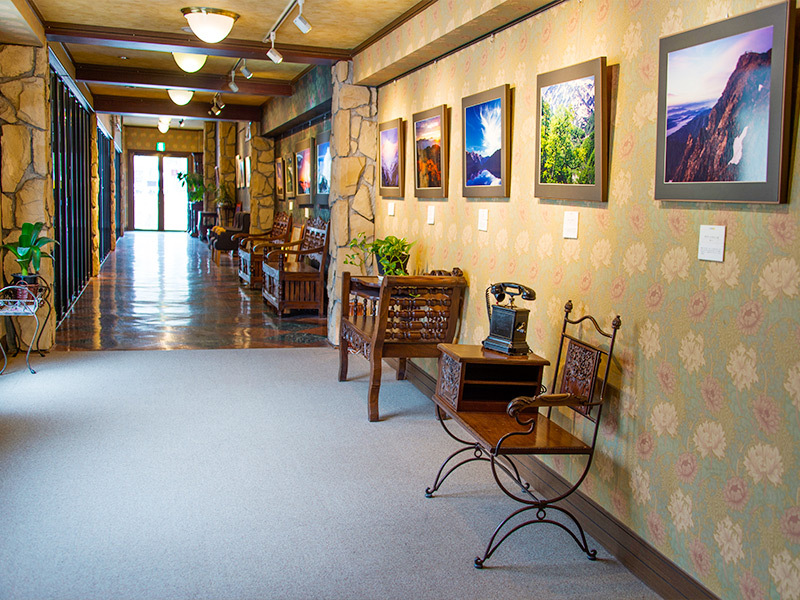 With an elegant entrance of antique furniture and beautiful forestry taking you back in time, we welcome you to our hotel with warmth. 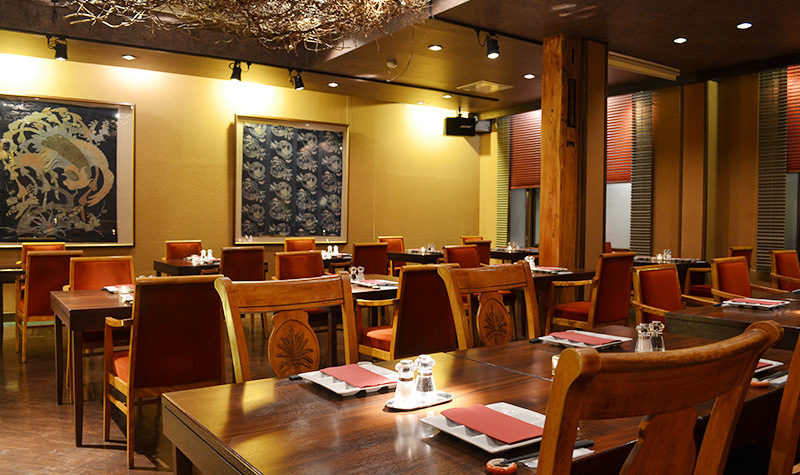 Enjoy your meal, which is made from hand-picked, local ingredientsdished up by our skilled chefs in the beautiful Hakuba atmosphere. We have local delicacies carefully selected for you to try. 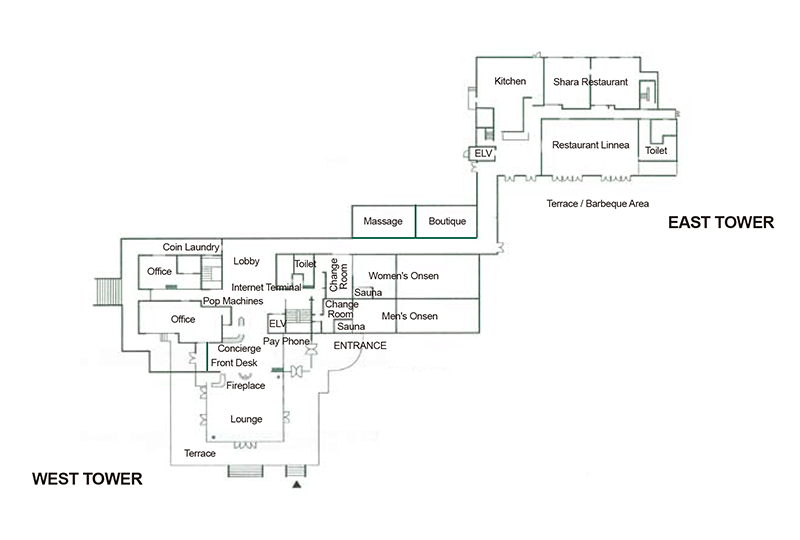 We have 75 rooms of various size to cater to each guests desires. 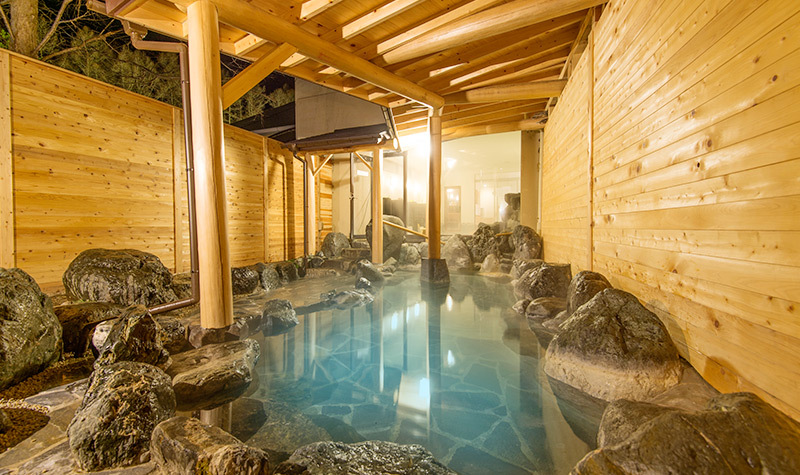 Also called "Beauty Onsen" (Happo Onsen), The "Shobei no Yu" includes an inside and outside onsen (bath and sauna that has been renovated recently in 2015. 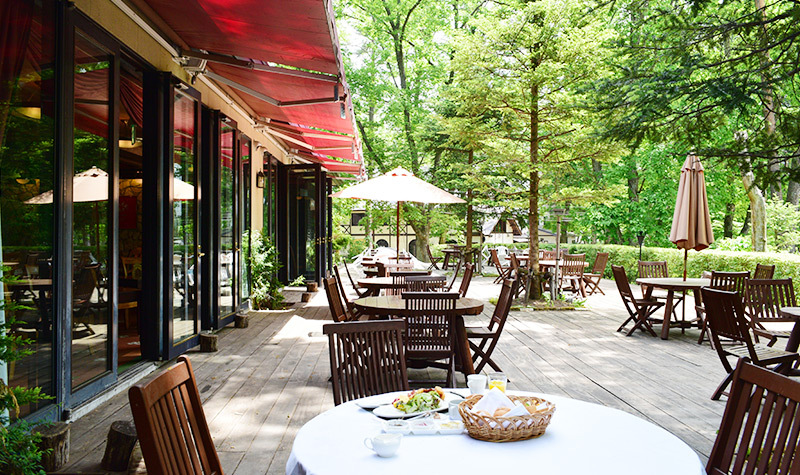 You can enjoy your meal or a cup of tea in the spacious area of our sunny wooden terrace while enjoying the scenery at the same time and listening to the birds singing. 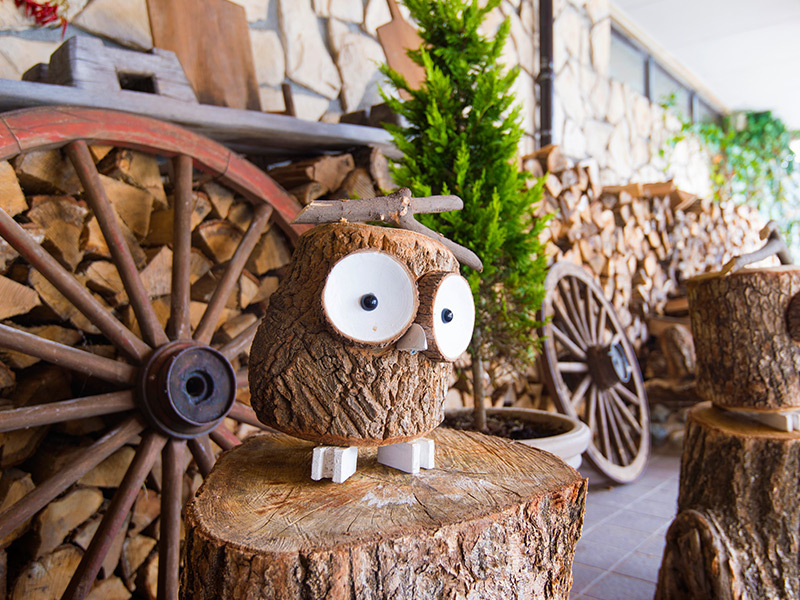 If you are looking for a unique souvenir, you have come to the right place. 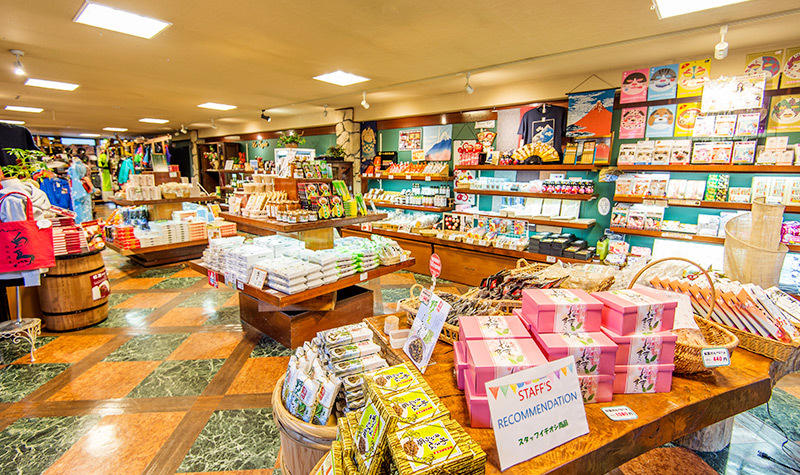 We offer you a wide variety of souvenirs that you can only find in Hakuba or in our hotel. 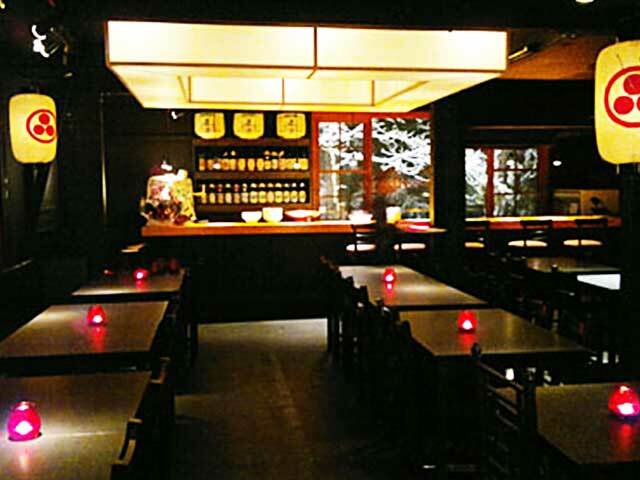 Local speciality sake, Japanese pickled vegetables, everyday use products and even clothes. 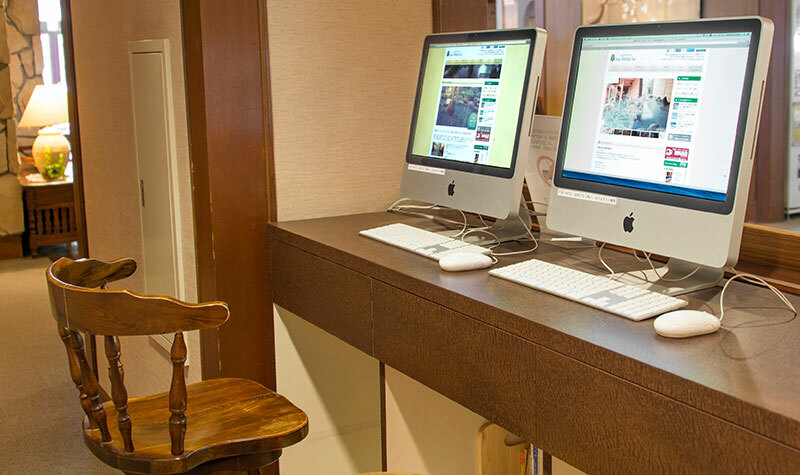 Public computers (Mac) available for guests to use for free in the lobby. 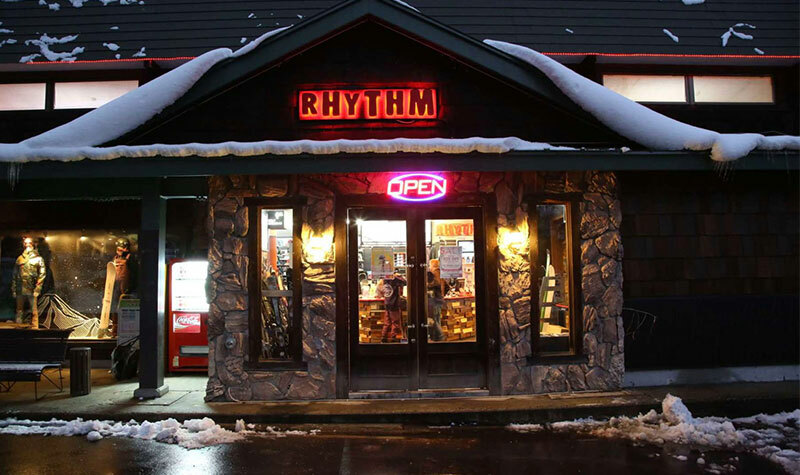 First-class ski gear for hire and purchase，as well as professional tuning at Rhythm Sports. 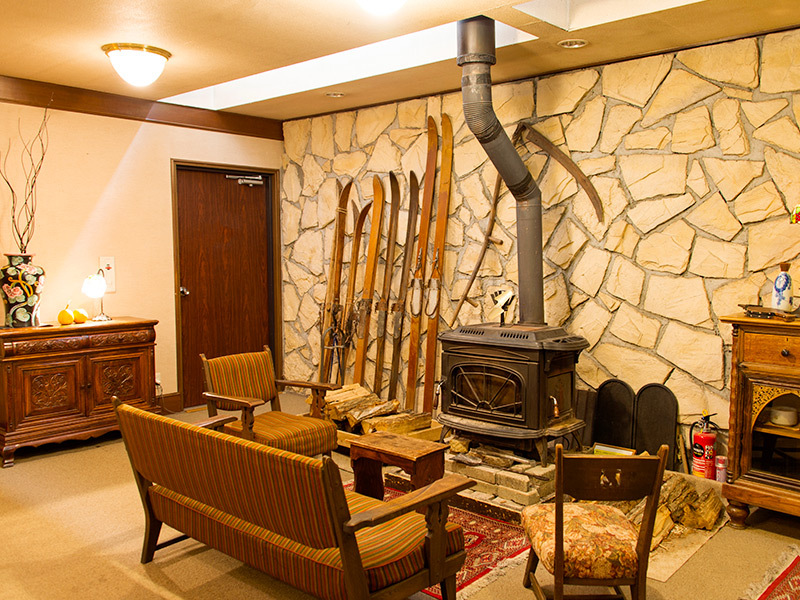 You can also make reservations for various sport activities at Evergreen Outdoor Center. 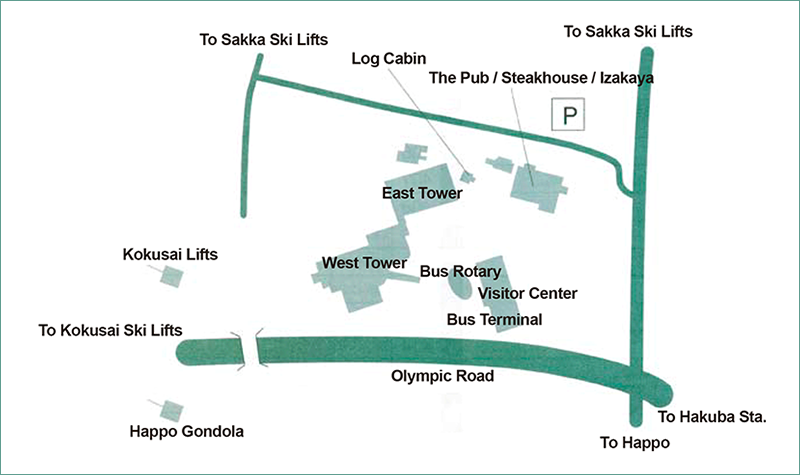 The ski shuttle bus going to various ski slopes departs out the front of Rhythm. 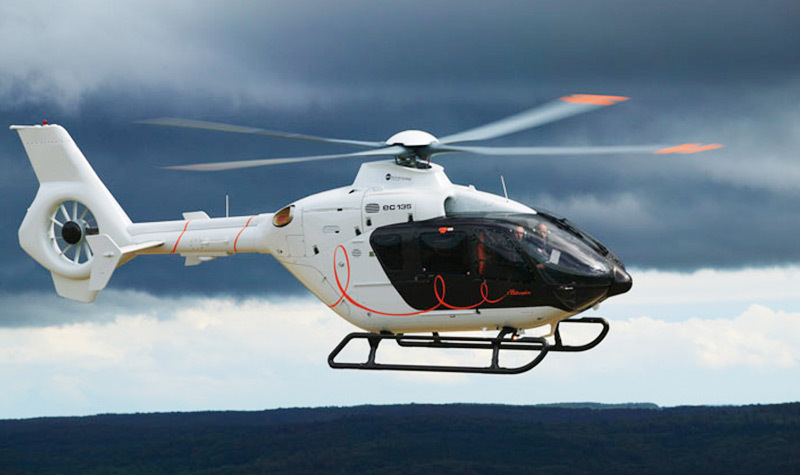 The hotel provides heliport services to guests arriving by helicopters. 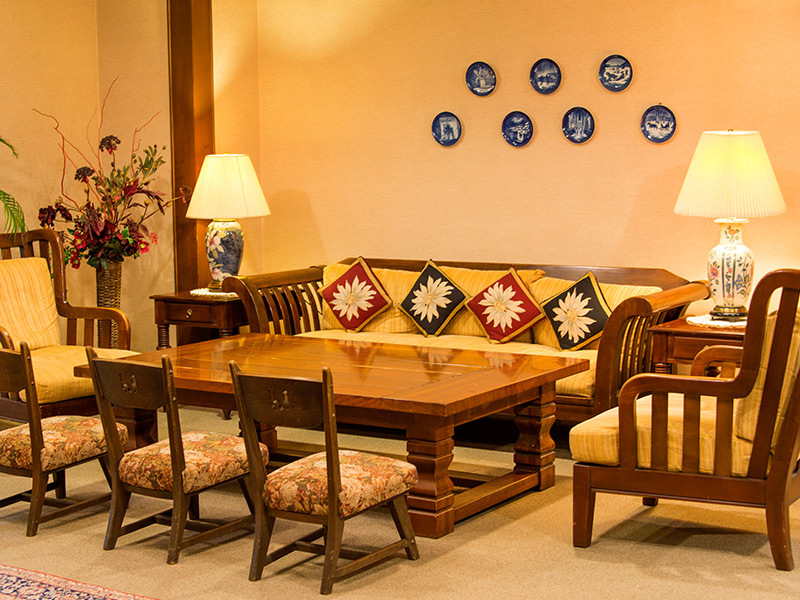 Enjoy sitting in a living room and dining area surounded by nature at the foot of the Japanese Northern Alps. The glamping area has a fire pit, hammocks and big tarps that provide shade. 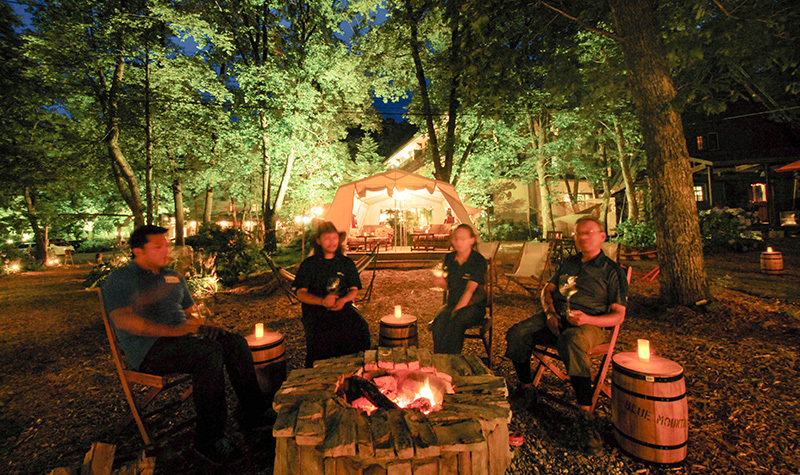 Enjoy your drinks around a camp fire with free marshmallows to toast and enjoy. 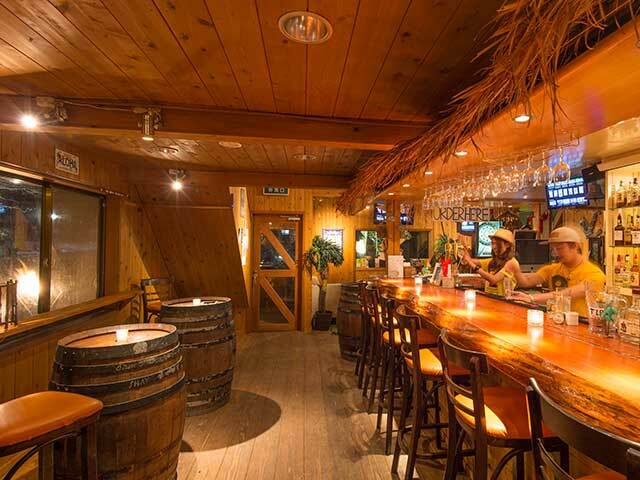 There are various bars and restaurants in and around the hotel, like the South Island bar, "The Beach Bar". 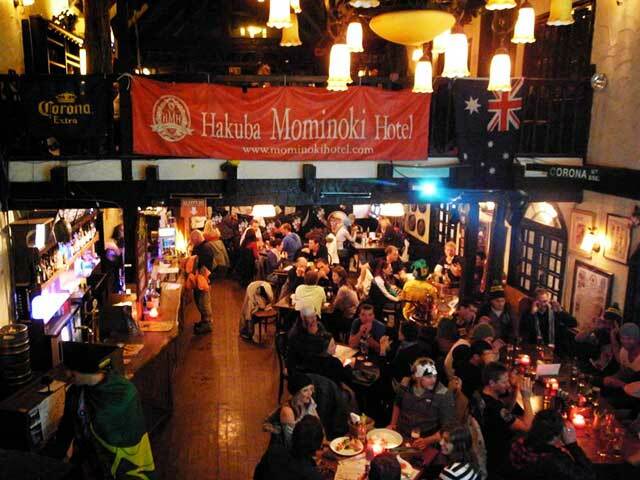 In winter we also have the English pub "The Pub" and stylish Izakaya Kaz (Japanese Izakaya restaurant).